Great breaks achieve a positive strategic goal back to the show. They communicate, both in content and presentation, something about the show plot. Breaks which score are real, relevant, and fun. They earn you valuable images. Here are some breaks by Reynolds Group shows which achieve this. Justin Bieber goes crazy on a photographer trying to take his picture and you have a tailor-made phone topic about public meltdowns. 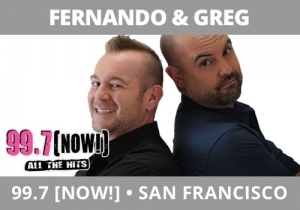 Fernando & Greg, 99.7 NOW San Francisco’s morning team, did just that in this easy, yet very well designed segment of radio. This highlights the value of telling stories. Listeners calling to tell about the time they lost it in public, with the team laughing along, mining the story for more gold. In PPM, these segments perform very well because they’re engaging and entertaining. One of the objectives for Reynolds Group shows is to secure an image that the audience feels their favorite morning show is just like them. Each Monday on John and Tammy, KSON San Diego’s great morning show, we do a feature called “The Report Card”. Predicated under the belief that the show talks about its spouses as part of our content, we give the spouses equal time to “grade” the co-host they’re married to on how they were as a husband or wife in the previous week. Here is a terrific example of how we’re positioning John as the typical (good) husband, believing the audience will connect with him more deeply. Quirky takes on big topics are always remembered. Several weeks ago, America found out about a woman who spent so much time in a tanning salon (she went several times a day) she altered her skin tone. So, Jim and Kim on Fresh 102.7, New York City, decided to call a local Sherwin Williams to see if they could color match the woman’s new pigment. This left-of-center approach made these few minutes really innovative around the big topic, making the listeners want to come back the next day so they don’t miss anything. 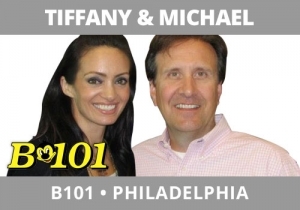 Tiffany & Michael at B101, Philadelphia had a chance to talk to Jerry Springer a while ago. What’s great about this interview are the topics they chose to talk with him about. It didn’t center around whatever he was selling, it was around very high equity topics: Oprah retiring, Dancing with the Stars, Thanksgiving, and wrapped up with a question-and-answer session where they got him to reveal things about his life that are intriguing. Tiffany & Michael were masters in this interview at choosing topics to talk with Jerry about that a wide swath of the audience were interested in. 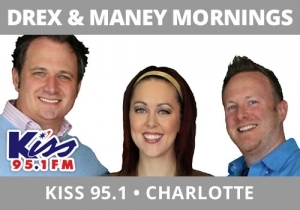 Here’s a well thought out bit done by Drex and Maney, KISS 95.1, Charlotte back around Mother’s Day. This is called “Messin’ with Mom” where listeners called their moms to have fun with them. Two things of note in how this was constructed: first they had Cassidy, the female on the show, call her mom so the audience would get the bit. They could have told the audience how it was going to go, but they demonstrated it (and did character development in the process). Then, just before they did it with the listener, they explained the entire scenario of what she’d say to her mom so the audience could get focused just on the mom’s reaction. Here is a flawless interview done by Karlson and McKenzie, WZLX, Boston’s highly rated morning show. Interviewing classic rock legend Gregg Allman about a biography he wrote, they did several smart things to turn this bad interview into a great, highly entertaining one: they read the book prior to the interview and explored with Allman the parts that most intrigued them. Allman is notoriously difficult to interview, often giving one word answers. They kept at it, continuing to explore the stories that interested them. In a stroke of terrific honesty for the audience, they challenged him on not wanting to answer questions to things that were in his own book. Then, once it got really bad, they ended the interview, stayed respectful, and blamed themselves for how it went, heightening how entertaining it was. This interview was prepped and handled perfectly. Great phones on morning shows should be about story-telling. 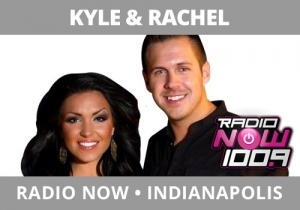 Kyle and Rachel, Radio Now, Indianapolis, waded into stories about the weird things that happened at a wedding (Kyle had one to go to and an old story about accidentally setting something on fire). Time, then, for listener calls. Here is a fun segment of callers. They’re short, highly engaging, and fun to hear for those tuning in. Oftentimes, listener calls are about opinions or yes/no answers to questions. These kinds of phones are never as good as hearing entertaining stories. 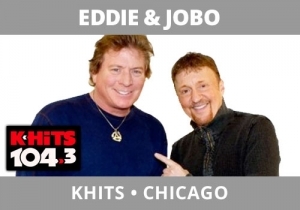 With this being the weekend of Cinco de Mayo, Eddie and JoBo on KHITS, Chicago played a fun game called “Cinco de Mayo (my-oh) or Cinco de Mayo (may-oh)”. They had a guy on staff say a sentence in Spanish. The sentence either referenced something around the Mexican holiday or it had to do with mayonnaise. A nice quirky twist and a really fun dimension to a break. Let The Reynolds group help you win bigger! To learn how we can help you. Call us at 919.821.4700 or send an email!